ALL ABOUT READING: The Gendered Book Covers: ‘End of Imagination’? 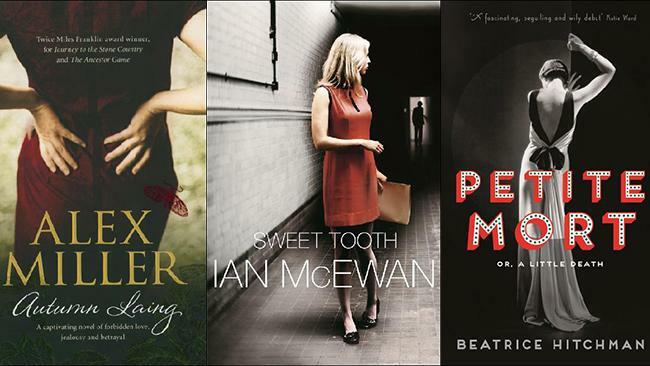 Here the book covers in question are of Petite Mort, the debut novel of London filmmaker Beatrice Hitchman, and Black Roses, a thriller by British journalist and author Jane Thynne. Another important point which has been highlighted, before we start making presumptions, is that the trend is not limited to what we call bestsellers. The cover of Ancient Light, the latest novel by Booker Prize winner John Banville underlines that serious ‘stuff’ are also beaten by this bug. However, it appears that through the title of her essay, Schama seems to be appealing to the large number of women who are employed in the publishing industry (of course she is writing from the perspective of the Western world) and who presumably approve these covers rather mindlessly or indiscriminately. 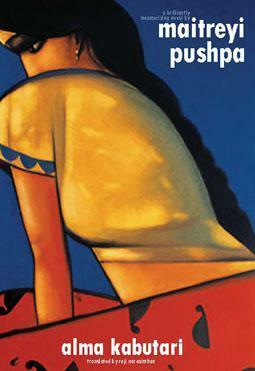 In fact, while quoting “a 2010 Publishers Weekly survey determined that 85 percent of book industry employees with less than three years of experience were women”, Schama wonders if the feminists are only worried about ‘stilettos, shiny lips and fishnet stockings’, whereas the back of a woman is as much used with the intention to titillate the reader. “In her speech at the inaugural Stella Prize last month, Helen Garner pined for a day when a prize for women's writing was no longer needed, when "doctors and lawyers no longer said to me, 'Pleased to meet you, Helen. My wife's read all your books'", when "designers no longer reflexively put a picture of a vase of flowers or a teacup on a woman's book cover, even when the book is about hypodermics and vomiting and rage and the longing to murder". I think this is a debate that the publishing editors and book designers will have to settle with the marketing people because it is not really paying any dividend as the slip is showing. However, as the ‘Publisher Weekly’ data above shows, it may be that the women are not in the driver’s seat and mostly doing the job of lower staff (‘less than 3 years of experience as it says). Just to substantiate and do a kind of personal experiment, I searched for my book shelves and found three books with such covers, one published abroad and two others in India: Brida by Paulo Coelho, Alma Kabutari (English translation) by Maitreyi Pushpa and If You Are Afraid of Heights by Raj Kamal Jha. 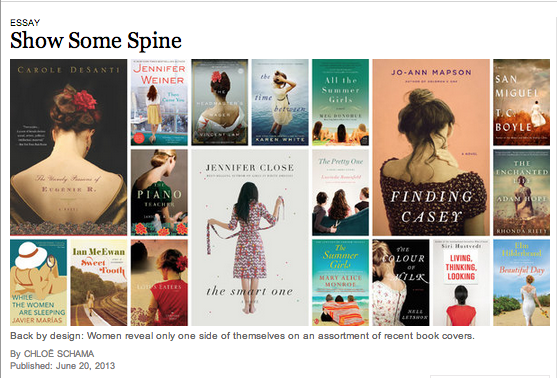 The fourth one Smell by Radhika Jha has the face of woman looking down--and not her back really.